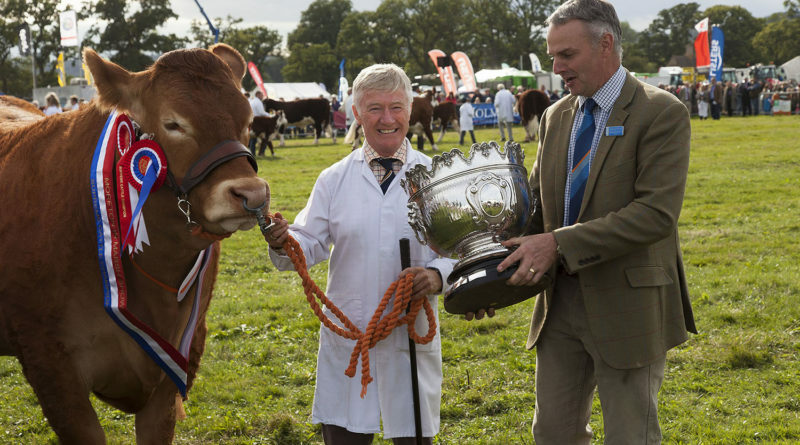 The 2015 edition of the Moreton-in-Marsh show was held on 5th September on the fields of the Batsford Estate, which it has since 1949. It is the largest one-day agricultural show in the United Kingdom. The Show again brought in huge queues, with numbers not known until later, but should be close to last years 25,000 number. The show had a very wide range of livestock judging including cattle, pigs, sheep and goats along with a massive entries of horses for the many classes and types. There was also a companion dog show area. Also in the Grand Arena was the IMPS motorcycle display team with a wide range of young riders demonstrating their skills on the bikes including the classic pyramid display and distance jumping by team leader Jordan Beckers. At the end of the afternoon The Grand Arena had the Livestock parade with the winners in the various categories of cattle, sheep, goat and pig on display. 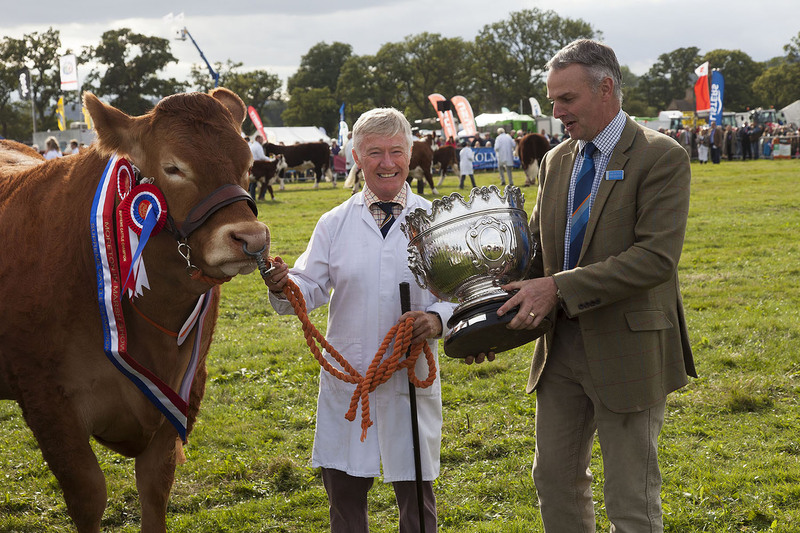 The overall Show Livestock champion Chris Wright was presented with his cup for his Limousin cattle. Two young handlers were also presented with their awards for Young Handler (Joshua Jack) and Reserve winner (Grace Denning). The Craft, Food and Drink stalls were extremely busy with visitors sampling the wares before taking up the show offers. Outside the Shipston High School soul band Battered Soul were entertaining the lunchtime crowd, even with the lunchtime rain shower. The group was a 2012 school music project of Head of Music David Hunt, and after 3 years he was bowing out as the parents have now taken over the running of the group. In the Attraction ring (next to the vintage Massey Ferguson tractor display) a wide selection of activities were put on for the visitors including the Aria Dance Company, Fancy Dress Ponies, Shipston Town Band, Terrier Racing, Dog & Duck Show, Redtail Falconry and the Rugby ball World tour. In the Family Fun Area Circus Whizz workshops were taking place all day for the children. All in all, this was an excellent show which managed to be on a mainly dry day with large crowds of visitors and competitors in the many classes on show. Now the organising team will be looking forward to the 2016 show which takes place on Saturday 4th September.